Joint replacement surgery is a godsend for many patients, who prior to the surgery experienced debilitating pain and a lack of mobility. While the benefits of surgery are vast, the first few weeks of recovery are the hardest, and this is the time your loved one needs you most. During the healing process, your loved one relies on you to provide assistance with daily tasks, transportation, and encouragement every step of the way. Before discharge, meet with your loved one’s physician and other healthcare professionals to be sure you have a clear understanding of post-surgery care and instructions. If possible, be present when the physician or therapist provides your loved one with strategies to make daily tasks easier (ex: showering and bathing, reaching for items, using a walker, etc.). Prepare the home for your loved one’s arrival, moving furniture and clutter out of the way to prevent injury. Also consider making minor modifications to ensure safety around the home during the recovery process (ex: installing grab bars and raised toilet seats). Provide assistance with bathing, grooming, dressing, and toileting. Help your loved one maneuver around the home, sitting, standing and getting in and out of bed. Help with duties around the home (grocery shopping, cleaning, laundry, etc.). Provide transportation to and from doctor and physical therapy appointments. Drop off and pick up prescriptions. Administer medications and changing wound dressings. Assist with light exercise and stretching as directed by a physical therapist. Depression and isolation are common after joint replacement surgery. Keeping your loved one occupied and mentally healthy is just as important as monitoring his or her physical health. Keep a list of concerns and questions to ask the doctor regarding the physical or emotional condition of your loved one. If you notice any unusual changes, be sure to consult a professional. Depression should not be taken lightly. The length of the healing process is different for each individual. Be cautious not to push your loved one past his or her limits. Excessive activity and strain may cause setbacks. The healing process may also be frustrating for your loved one, and the pain and exhaustion may cause emotional stress. Providing your loved one with emotional support is key to keeping him or her motivated during recovery. As selfless as you are, always remember the importance of caring for yourself. If you’re not at your best physically or emotionally, you cannot provide the best for your loved one. Get plenty of rest, eat healthy, exercise regularly, manage your stress, and take 30 minutes each day for activities you enjoy. If you need help, don’t be afraid to ask. 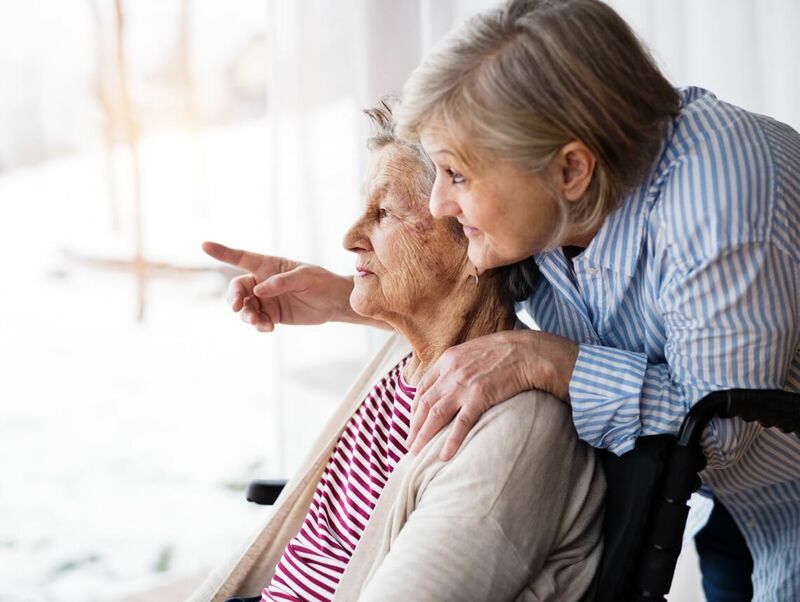 At Sone Home Health Care, we understand the struggles family caregivers face when providing care for a loved one after joint replacement surgery. Our goal of helping patients regain and maintain independence in the home is made possible by the loving and qualified caregivers we refer. From professional nursing care to homemaking services, our team of home health care professionals can help determine the right plan of action for your family. Contact us directly or Request a free in-home assessment to learn how we can help.